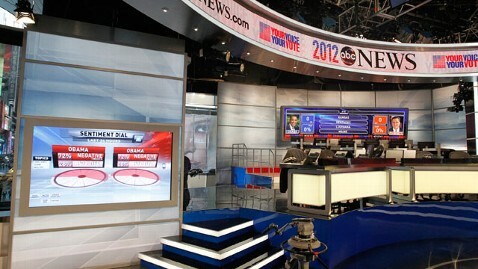 ABC’s coverage of the 2012 election will originate from a temporary set in its Times Square studios. The studio features multiple presentation positions, interactive displays, large monitor walls, banks of researchers and analysts and a circular homebase. The coolest feature is the circular LED floor monitor at homebase, a Barco NX4. 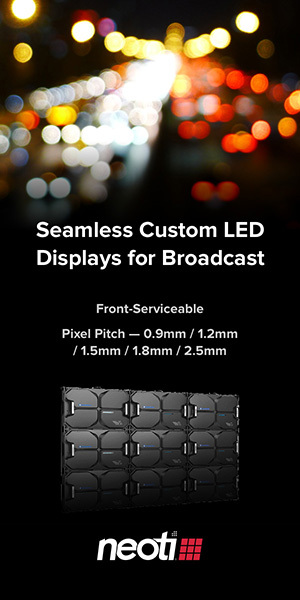 “The screen, which you cannot stand on, has been covered with a fusion material to prevent glare. 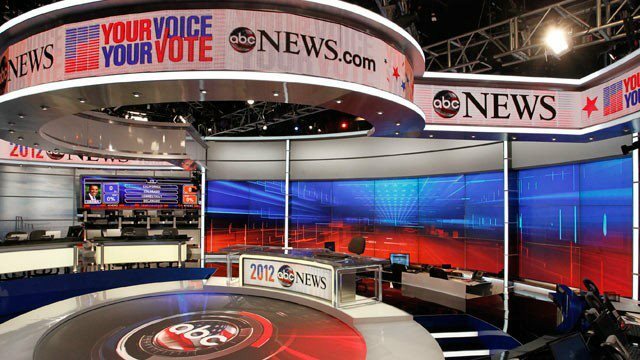 At the top of that circle sit the election night anchors — Diane Sawyer and George Stephanopoulos. It all makes for a pretty stunning visual when the camera pans out,” writes Joanna Stern on the ABC News blog. Katie Couric will be present for the coverage, in the interactive corner with 20 other staffers pouring over tweets for tidbits. Let’s hope they use them appropriately, as sometimes they can really detract from the coverage.